Last updated 02 August 2018 . By Faith Strickland. With a former Noma chef and a leading anthropologist, Edinburgh Food Studio has already made international waves, from publishable culinary experiments through to hosting the best chefs in the world. And for the latest trial, everyone is benefitting as they open a permanent restaurant. 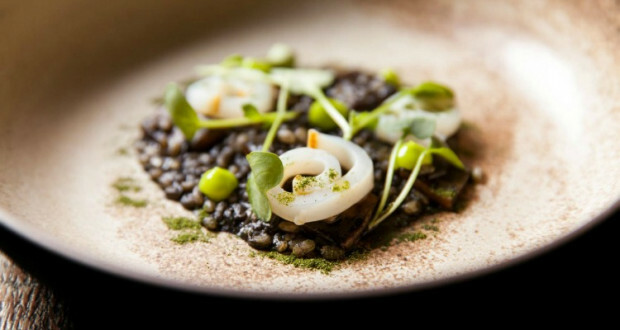 James Murray - formerly of Michelin-starred Nur - has come on board to develop a seven-course evening tasting menu, along with a brunch and lunch offering. Expect the same close ties with local produce, and an excellent selection of wines - the latter chosen using founder's Sashana Souza Zanella's experience at the University of Gastronomic Sciences. Dishes include goodies such as North Uist crab, Barra cockles, and eight-week-aged Luing beef. During the day, the space is open for retail, bread, butter, and coffee.